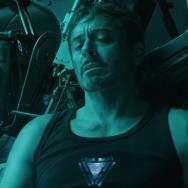 Movies.com > Movie News > The Geek Beat: Did Comic Book Fans Love or Hate the Big Twist in 'Iron Man 3'? The Geek Beat: Did Comic Book Fans Love or Hate the Big Twist in 'Iron Man 3'? And they're off! This past week, the summer film season kicked into high gear with the release of the Marvel Studios sequel Iron Man 3, and with the absolutely mammoth box office success that film is enjoying, it becomes even more astonishing to me that Marvel was able to keep a massive secret about its latest film pretty much under wraps, or at least relatively out of sight, until the film dropped in theaters this past Friday. 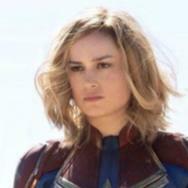 For the most part, I think people are seeing it as a massive comedic and narrative success, and I'm hearing a lot about how comic book fans (or fanboys, which is a category you shouldn't lump us all into) will think that it's the worst thing to hit the world since Joel Schumacher premiered "Batman on Ice." I tend to chafe at this a bit, because it seems like some commentators, critics, and moviegoers are taking joy at the fact that "most" comic book fans won't be able to recognize a dynamic creative choice because of some sort of blind adherence to comic book continuity. This isn't the case. In fact, I'd argue that most comic book fans applaud such choices, as long as they're executed well (one of the reasons Batman Begins is generally well-regarded amongst fans). Since I work in a comic book store and tend to be a pretty big fan of comics in general, I travel in circles that have a lot of extreme comics enthusiasts, and I can tell you: the reception to the twist has, by and large, been a very positive thing. It's not going to be universal, especially when you consider the characters and situations in comic book films are going to be playing with legends in someone's eyes. Yes, some comics fans feel like these things could not, and should not, be played with to a very large degree. But I can assure you: this is a very small minority at best, although it's true that this minority can sometimes yell with the loudest of voices (which tends to be the case in most cultures that have extreme, fundamentalist views). All in all, though, the twist was a welcoming one. If you still don't know what I'm talking about, then I encourage you to stop reading right here and go see Iron Man 3 to catch up with the conversation. I really don't want to be responsible for spoiling the surprise if you're planning on seeing the film, since it's quite a doozy. Good. Let's talk about the Mandarin. 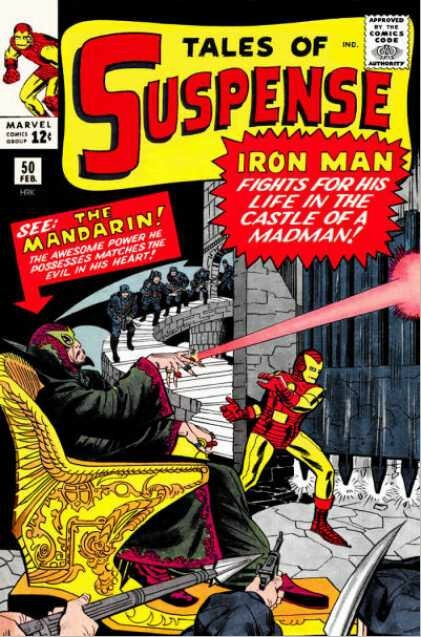 For those Iron Man fans out there who were excited by seeing a faithful interpretation of the Mandarin in film, I'm really sorry that you didn't get this. You really have to admit, though: Marvel Studios and the entire production team definitely deserve credit for keeping Ben Kingsley's true role in the film a secret over the last year and a half. 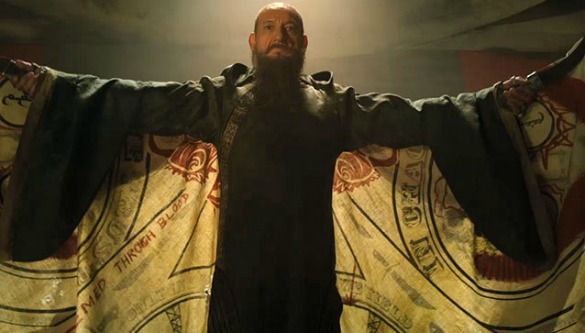 When I saw the film for the first time this past Saturday night in an IMAX theater north of Seattle, the revelation about "Trevor Slattery" and the true purpose of the Mandarin identity went over extremely well, with equal parts gasps and laughter. Because of the overall tone of the film by that point in the story, I wasn't so much surprised as much as I was humored, but in the modern era of social networking, leaked workprints, and unleashed secrets, that is where I found the true surprise of the plot point: that it was kept out of sight. That simple fact, in and of itself, should be considered a massive achievement for the creative team and production personnel by fans and critics everywhere. Now, because most people, including most comic book fans, seemed to enjoy it, does that mean that there are no dissenters? Of course not! Although he is a pretty strange villain by most standards, there is a sect of comic book fandom that will be disappointed that the Mandarin wasn't utilized in a fashion that is more true to his original conception, or even to the conception put forward in the film's trailers. Because the twist was used to such a successful effect, does that disqualify the perspective of some fans who see it this way? No, it all just depends on how the argument is presented. For instance, my good friend Paul is a hard-core Marvel fan, but not exactly a hard-core Iron Man devotee. While he said he was really entertained by what the film did with the Mandarin, he couldn't help but feel like there was, what he called, a "missed opportunity" of using the Mandarin as he was shown in the film's trailers. Does he necessarily think it would've been better than what was ultimately used? Not exactly, but he would've at least been interested to see what a "true" Mandarin would've looked like, especially if Sir Ben Kingsley's acting chops would've been put to the test for a full-on comic book villain. As fans, though, we completely understand why Marvel Studios went in the direction that it did. As our own Jacob S. Hall recently explained in his piece touting this Mandarin as the greatest comic book movie villain ever, the concept as originally conceived by Stan Lee and artist Don Heck back in Tales of Suspense #50 probably wouldn't fly in the modern era. The character's original conception is very politically incorrect for the time, in addition to reinforcing racial stereotypes that are far better forgotten than they are perpetuated. While I doubt most fans of the Mandarin were expecting a verbatim transfer from the original comics to one of the most successful film franchises in history, they were likely expecting something a bit more reverent while also exploring new territory. In the end, we got a plot twist similar in concept to the Ra's al Ghul/Henri Ducard twist of the aforementioned Batman Begins, but very much in the humorous and quirky approach that the Iron Man franchise has carved a pretty definitive niche in. The bottom line is that comics fans, contrary to popular belief, are open to this kind of exploration, and to paint us all into an image of a bunch of parasite singles that curse the names of anyone trying to throw something at us we won't see coming is a bit shortsighted. Comics fans are just as hungry for great stories featuring their favorite characters, and really, have been long before those characters were turned into multibillion dollar box office franchises. We all, in the end, want the same thing: to be entertained. In the end, that's what makes the gym rats and the comics nerds that sit next to each other in the movie theater the same kind of fan. Once we're all in our seats and the house lights go down, we're all there for the same basic reasons. When Marvel announced that it would be relaunching many of its titles with new number one issues, I felt like it was a little reactionary to DC's success with the New 52. Although, I've been pleasantly surprised by several of those new titles, and one of them is Jason Aaron and Esad Ribic's Thor: God of Thunder. This week, issue #8 drops in comic shops everywhere, and continues the story of "the Godkiller," a being pursuing various gods through the universe and murdering them in a mad quest for vengeance. Thor, of course, is one of his targets, but the interesting thing about the story is how it jumps pretty freely through three vastly different eras. The first is hundreds of years in the past, where Thor actively walks among the people of Earth and is worshipped by the Vikings as he fights alongside them. The second era is the "current" or modern one, where Thor is the mightiest of the Avengers, and fights alongside the likes of Iron Man and Captain America. The third is the far-flung future, where Thor has surpassed his father as the King of Asgard, where Odin's eponymous power is now named for Thor, and where all other Asgardians are dead. As a narrative device, it's endlessly interesting. 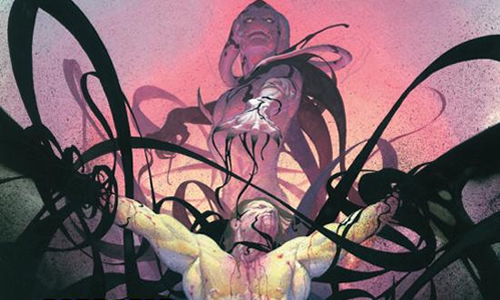 The artwork by Esad Ribic is nothing short of stunning. I first caught a glimpse of the man's work in the Loki miniseries with writer Robert Rodi, and he has a very simple elegance and highly detailed beauty to every page that he creates. 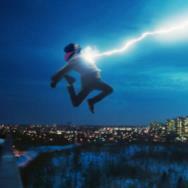 If you were looking for an excuse to jump into Thor, then Marvel NOW! has given you one. Check the series out, I highly recommend it. That does it this week on the Geek Beat. What did you think of the twist in Iron Man 3? Are you a comics fan? Sound off below, and we'll see you in seven days! Chris Clow is a geek. He is a comic book expert and retailer, and freelance contributor to GeekNation.com, Batman-On-Film.com and ModernMythMedia.com. You can find his weekly piece The Geek Beat every Tuesday and the Star Trek Into Darkness Countdown every other Wednesday right here at Movies.com. Check out his blog and follow along on Twitter @ChrisClow.